After seven seasons, Scandal ends tonight. 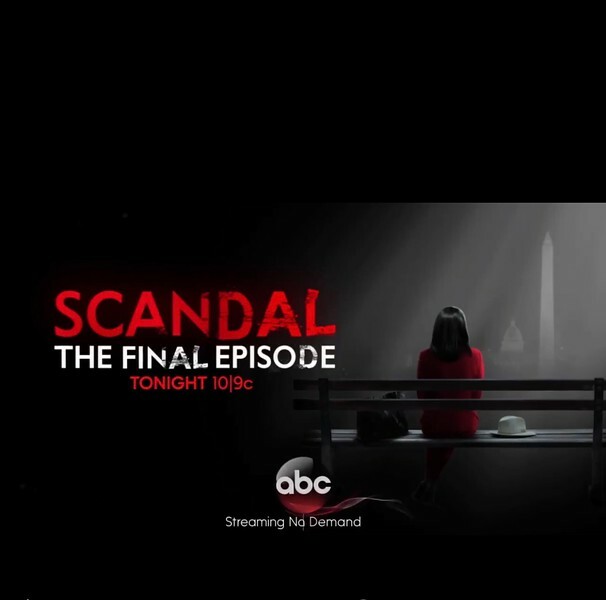 The SCANDAL series finale airs at 10PM EST on ABC. The stellar cast rocked Thursday nights with ever twisting, mind-blowing and jaw dropping episodes, that were always entertaining...124 episodes locked in is success. Congrats to the entire cast, crew, writers and producers.